Forstado, arbara mastrumado, forstmastrumado aŭ forstumado estas arto kaj scienco de mastrumi arbarojn, arboplantejojn aŭ forstojn, kaj rilatajn naturajn resursojn. Silvikulturo, rilata scienco, temas pri la kresko kaj zorgado pri arboj kaj arbaroj. Moderna forstumado ĝenerale koncernas kun: zorgi arbarojn por provizo de ligno kaj kiel materialejo por lignoproduktoj; naturaj biotopoj; natura regulado de la akvokvalito; distro; protektado de pejzaĝo kaj komunumo; dungado; estetike alloga pejzaĝo; mastrumado de la biodiverseco; mastrumado de akvokolekta areo; kaj stokejo de karbona dioksido por la atmosfera gaso. La profesiulo de la forstado estas konata kiel forstisto. Charles H. Stoddard Essentials of Forestry. New York: Ronald Press, 1978. G. Tyler Miller. Resource Conservation and Management. Belmont: Wadsworth Publishing, 1990. Chris Maser. Sustainable Forestry: Philosophy, Science, and Economics. DelRay Beach: St. Lucie Press, 1994. Hammish Kimmins. Balancing Act: Environmental Issues in Forestry. Vancouver: University of British Columbia Press, 1992. Herb Hammond. Seeing the Forest Among the Trees. Winlaw/Vancouver: Polestar Press, 1991. 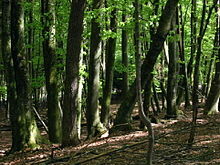 "Forestry" in the Encyclopaedia Brtitannica 16a eldono. New York: E.B., 1990. Ĉi tiu paĝo estis lastafoje redaktita je 08:57, 6 jun. 2016.